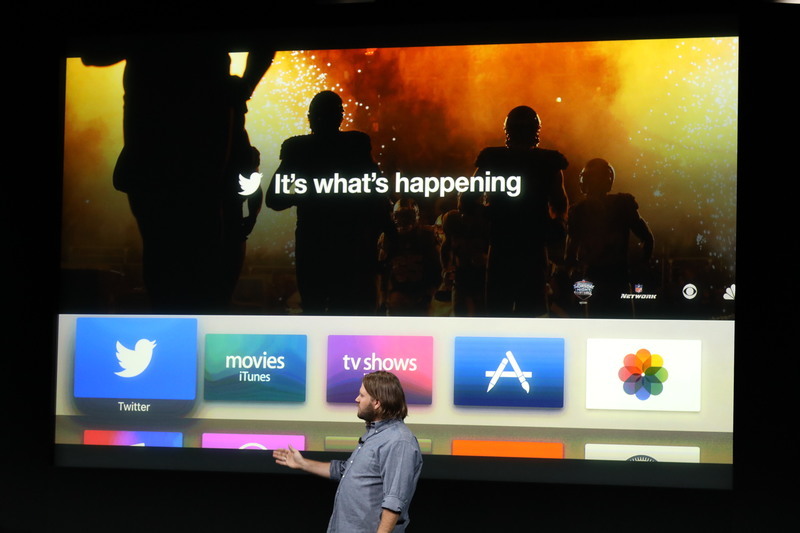 "Today we're going to show the future of video made possible by the power of Twitter on Apple TV." 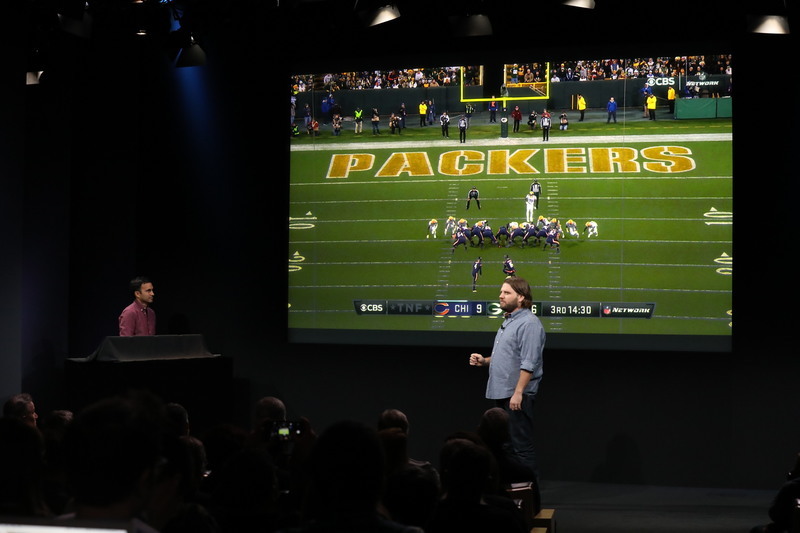 "With a swipe on the Siri remote, we can make viewing more intresting with tweets from athletes ... and stats from journalists." 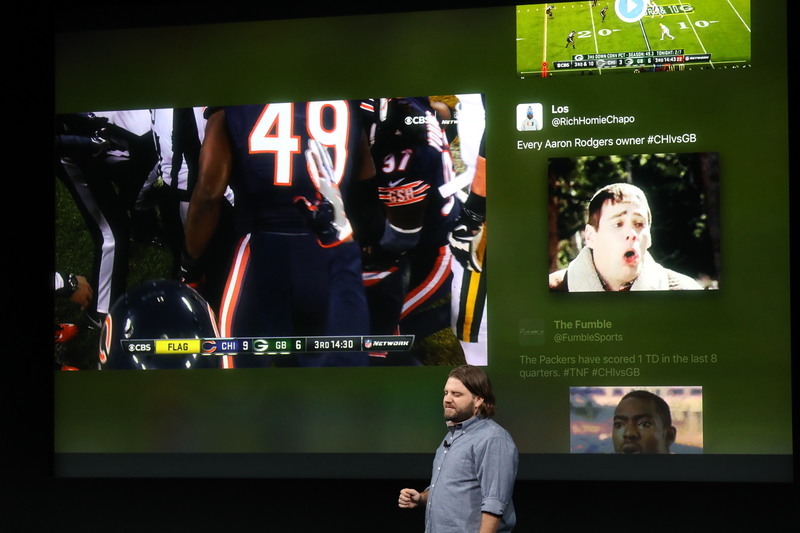 "Tweets also include video replays and periscopes from different vantage points." 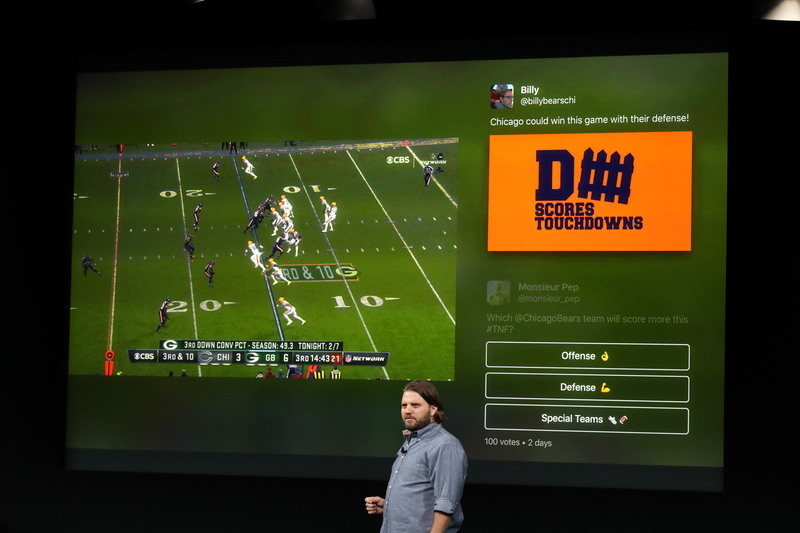 NFL on Twitter is an interesting (and expensive) bet -- but putting it on AppleTV, sure makes sense -- but do people want to read Twitter on their TV screens? 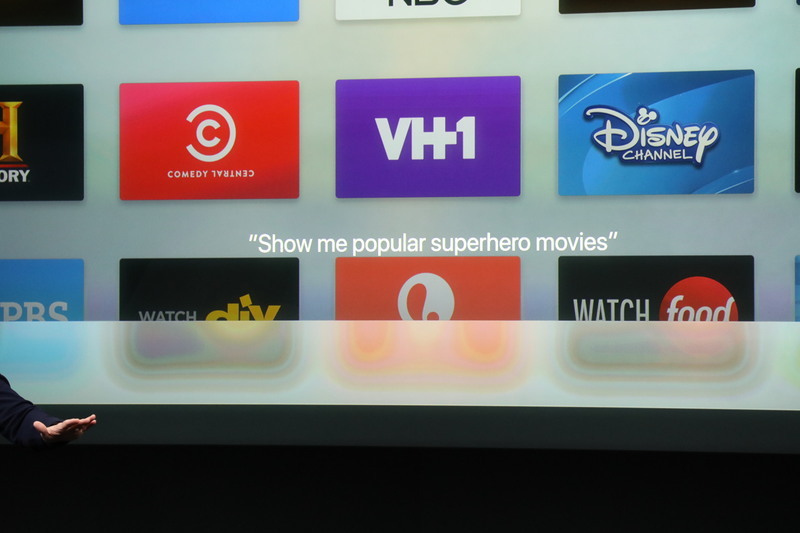 "Apple TV makes it easy for him to send that tweet to his iPhone so he can join in the conversation." 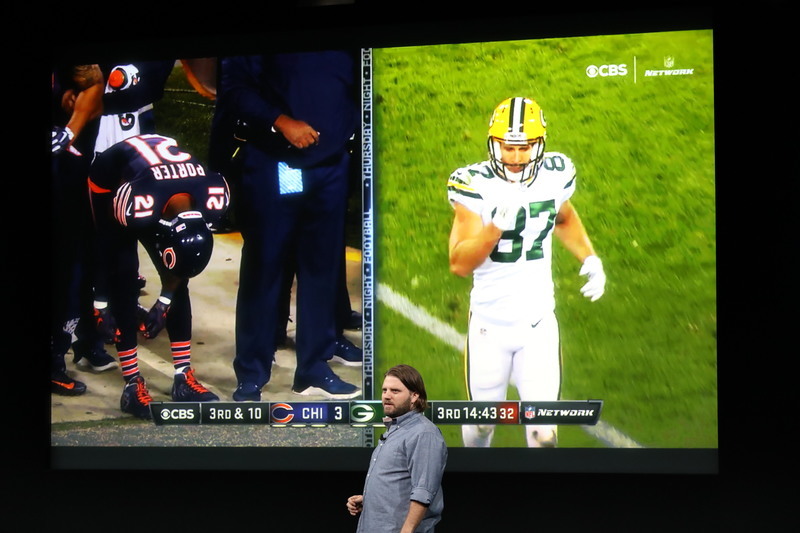 Twitter guy on stage says, "This is a great way to watch TV." Is it? 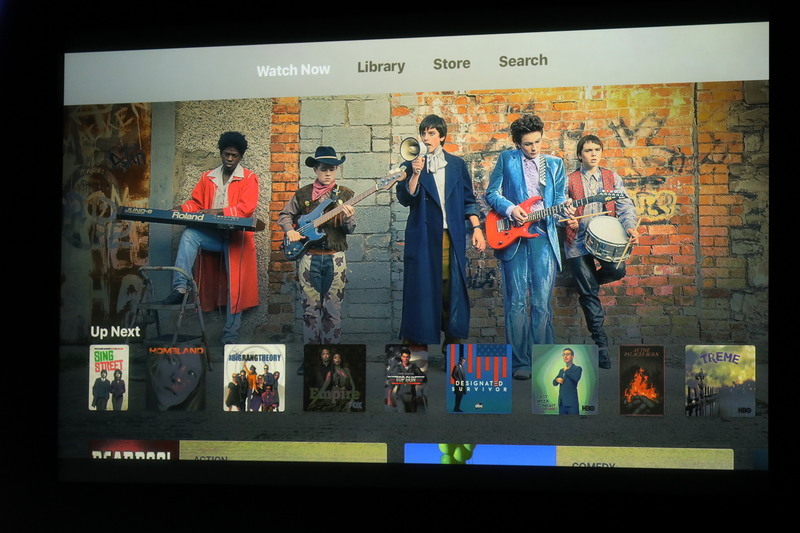 Reminds me of "second screen" experiences for TV shows like Walking Dead, etc. -- does anyone use those? 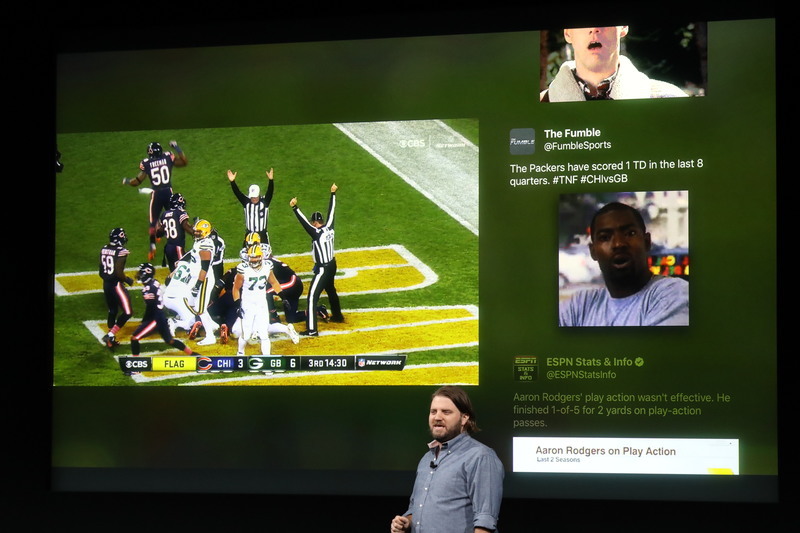 "In addition to NFL Thursday Night Football, Twitter is excited to offer free NHL and NBA, election night coverage from Buzzfeed, etc"
There's one case where this actually does work really well (in my opinion) -- the presidential debates, plus live debate Twitter -- was a powerful combination. 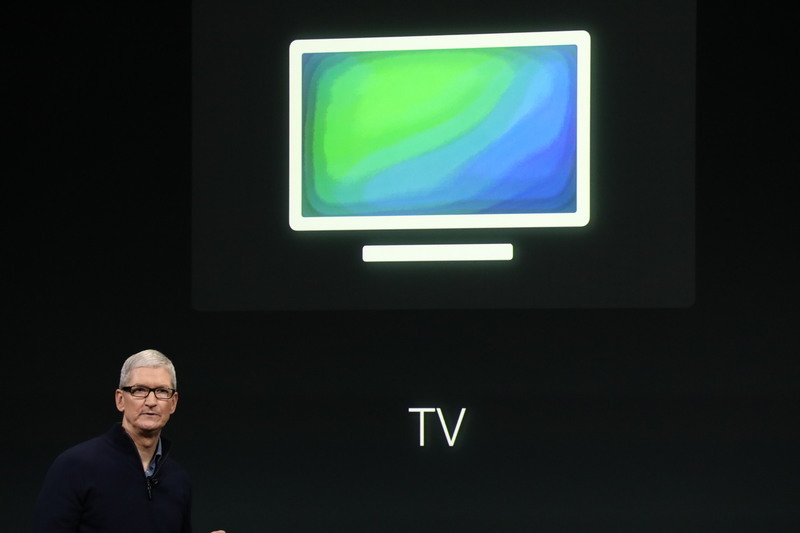 "This is a great example of the power of Apple TV and the way apps are changing television," Cook says as he comes back on stage. "We've made it easy to search across your apps, but universal serarch was just the beginning for us." 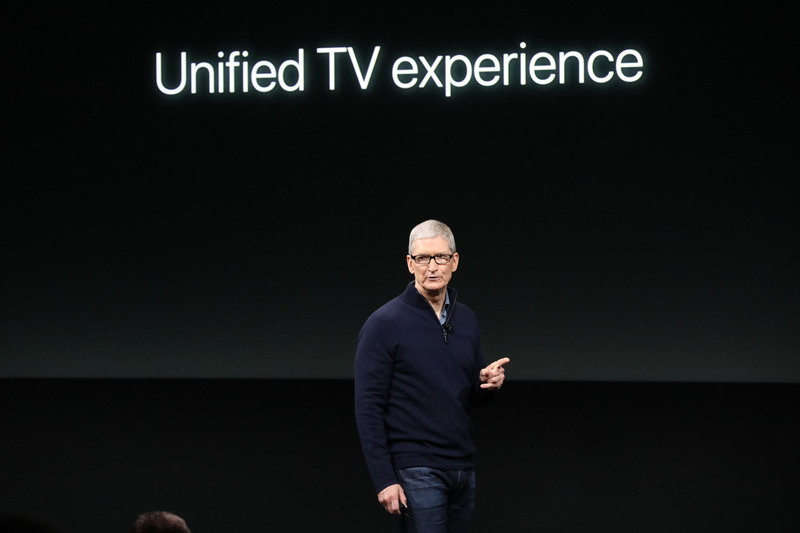 "We want Apple TV to be the one place to access all of your television." 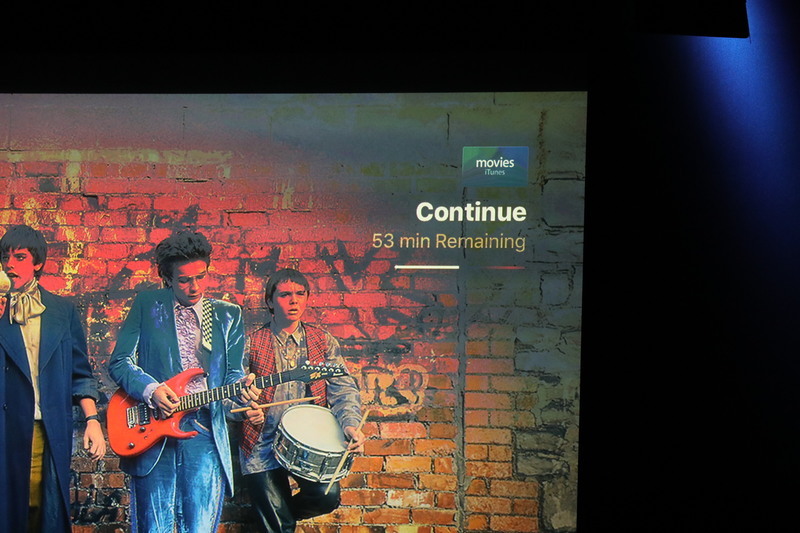 "A unified TV experieince that's one place to access all of your TV shows and movies. One place to discover great new content to watch." 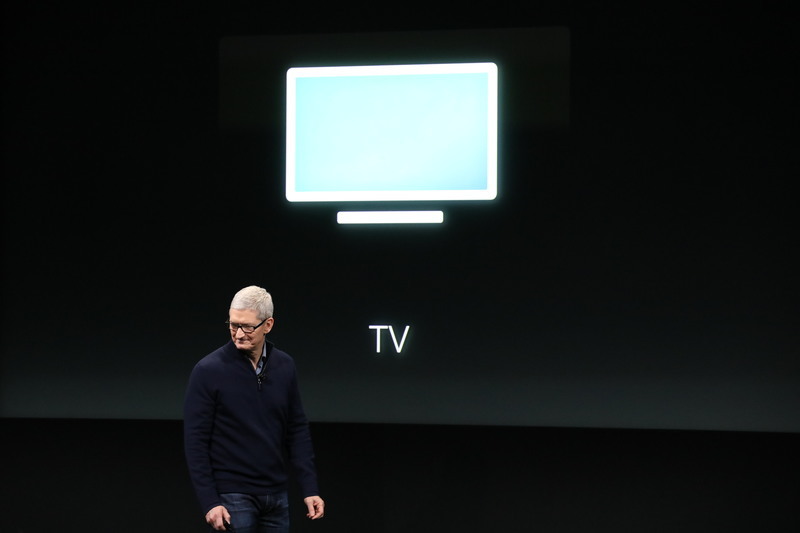 "So today we're announcing a new app and we simply call it TV." 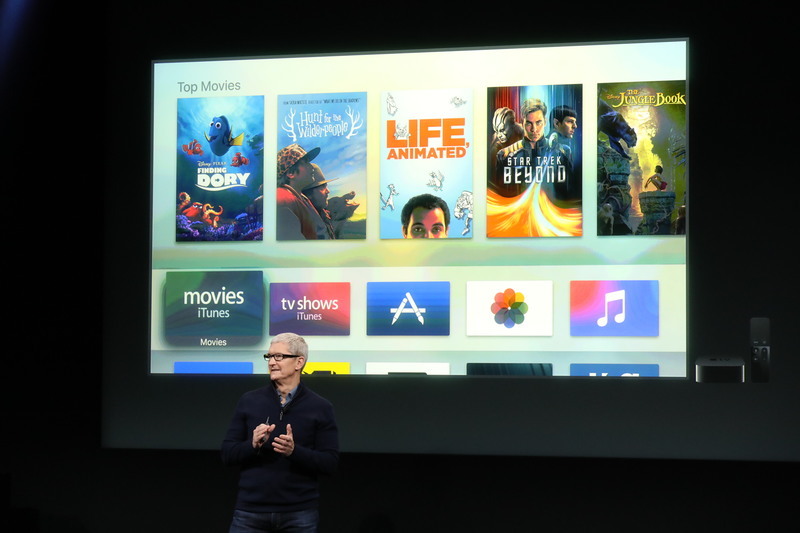 "It will completely change how you watch TV with your Apple TV as well as your iPhone and iPad." 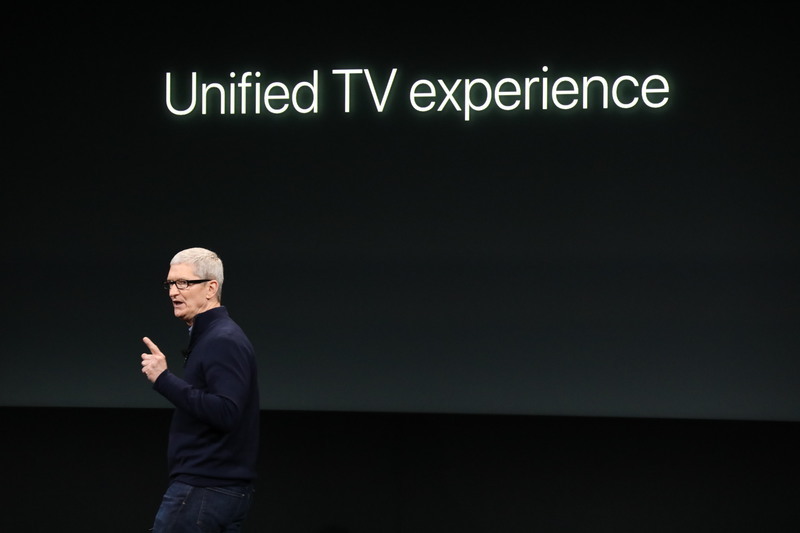 It's funny that Tim Cook calls this a "Unified TV Experience," because we often speak of a "grand unified theory of Apple operating systems," where one day, iOS, MacOS, etc. all merge into one super-OS. "I start up in Watch Now where the focus is on Up Next. 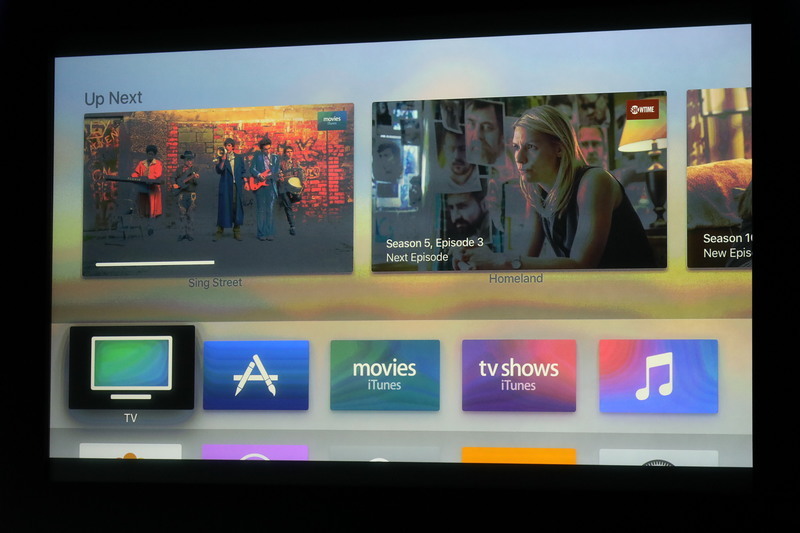 It has all the TVs I'm currently watching across all of my apps." "For example, I bought Sing Street on iTunes but didn't finish watching. Up next lets me continue from where I left off. 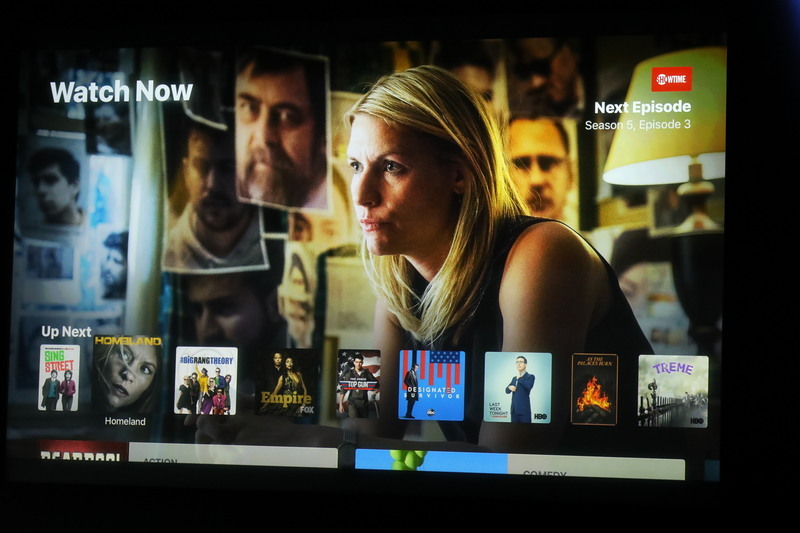 For shows I'm binging on, the next episode is here for me, ready to start." 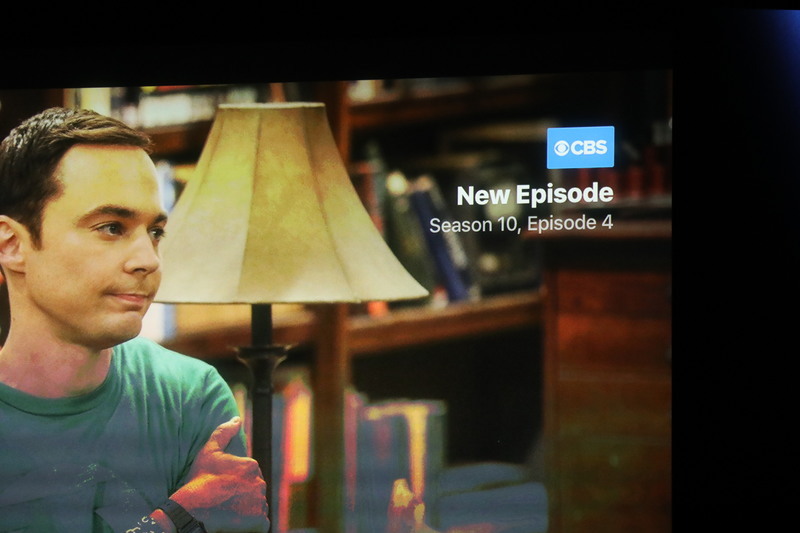 "For current shows I'm watching, like Big Ban Theory on CBS, the up next app shows me when the next episode is available." 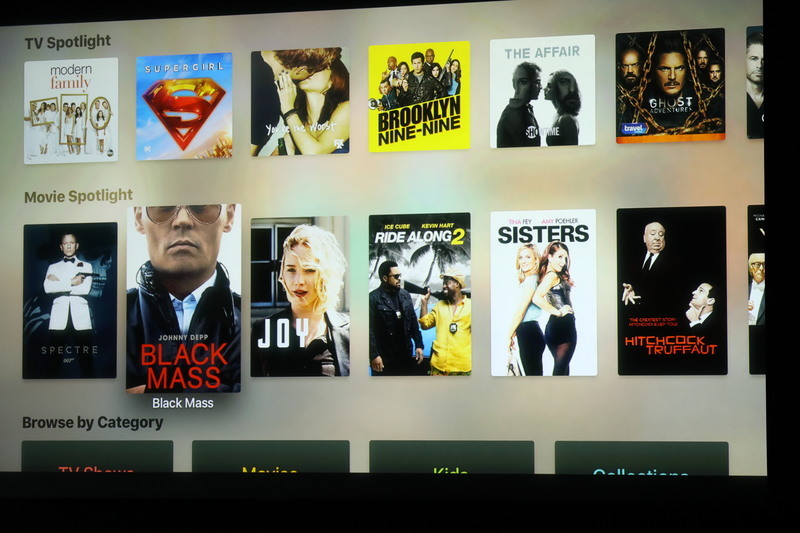 "Editors have selected content for TV Spotlight, Movie Spotlight." 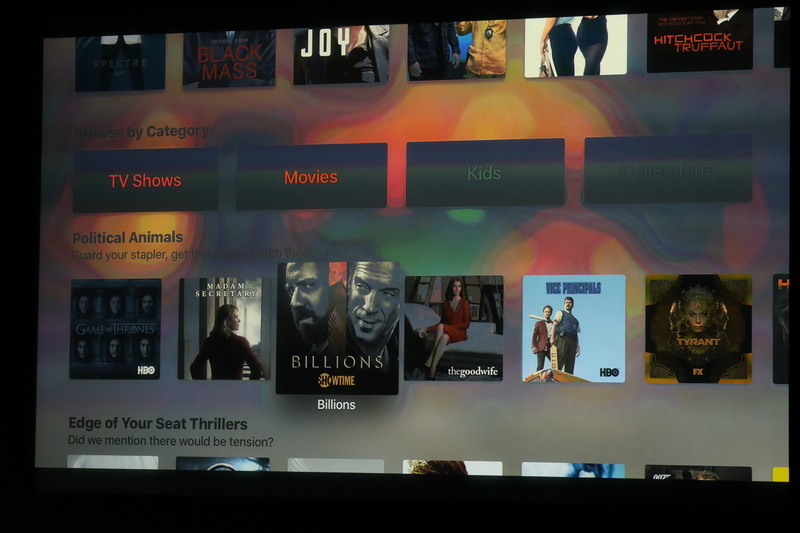 Only shows content from your apps, so you can just click on anything to play. 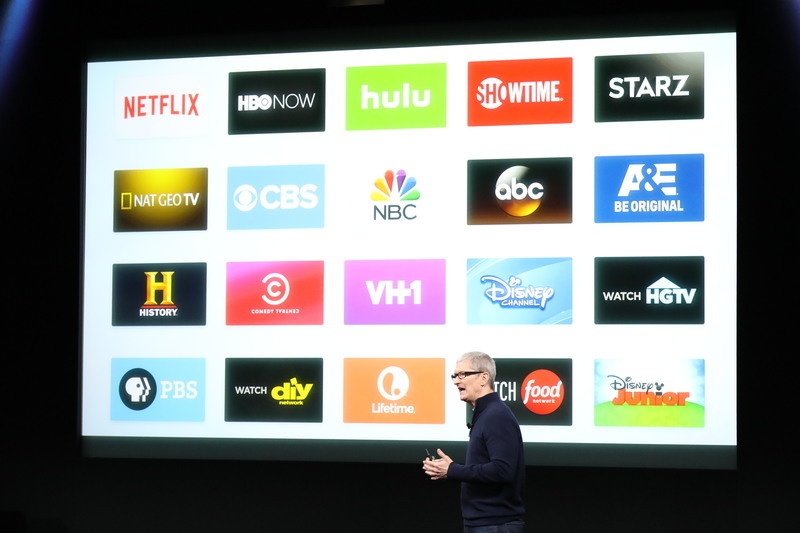 TV app is pulling in content from all the different subscriptions you have -- Showtime, HBO, CBS All Access, etc. Plus iTunes purchases. 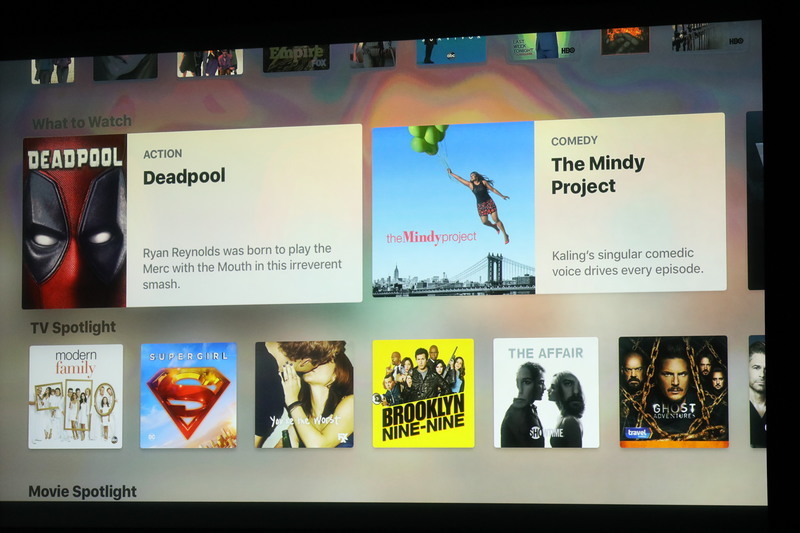 "Since I'm watching in HBO Now, pressing menu takes me to the show details within the app. 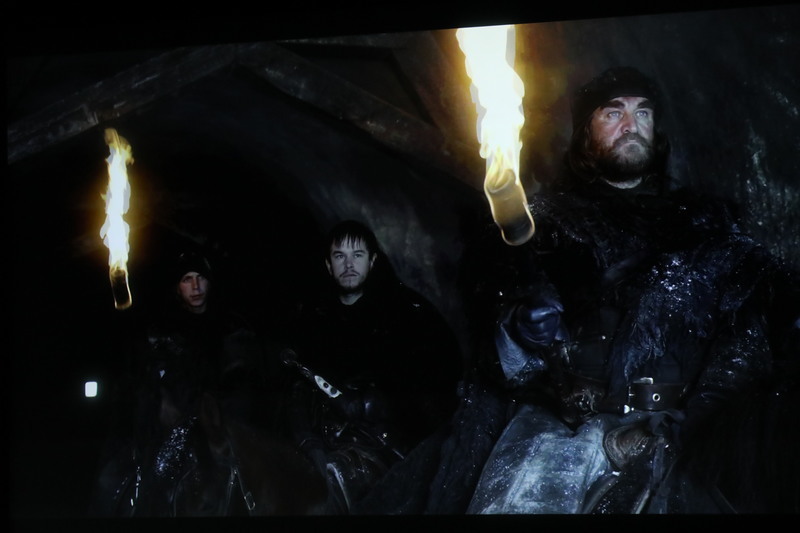 I can get back to TV just by pushing the TV button."